More and more people are awakening to the reality of U.N. Agenda 21, and here at “For Truths Sake,” we are trying to the best of our ability to show you exactly what Agenda 21 is. It’s a very complex subject that involves many different “agendas” in fact, and they all revolve around securing a one world government headed by the United Nations. To write one conclusive piece of the entirety of Agenda 21 would be an exhaustive effort even for the most dedicated writers. So what we decided to do was to highlight actual events in the U.S. and tie them back to the U.N. agenda showing you the actual source. For instance, today Dr. Fred wrote a piece on the Committee on the Elimination of Racial Discrimination, which is actually an initiative being governed by the U.N. which attempts to portray the U.S. as a racist nation for the purpose of allowing themselves the opportunity to assert control and eliminate our sovereignty. Agenda 21 is actually another term for “sustainable development,” which originated at the Earth Summit in Rio back in 1992. The whole premise of Agenda 21 is based on the belief that the world’s industrial powers are destroying the environment by causing “global warming” and only by radically altering the way we live can the planet be saved from our destructive selves. The aim is to eliminate private property rights, remove man’s footprint from the rural parts of the world and herd them into the cities, control populations, and force us to live under their rule by ensuring all nations are completely disarmed. Many will balk at this; however, as I said before we intend to resort right to the source of U.N. materials which are out there in plain sight for all to see. This way, the most we can be accused of is misinterpreting what we are reading. 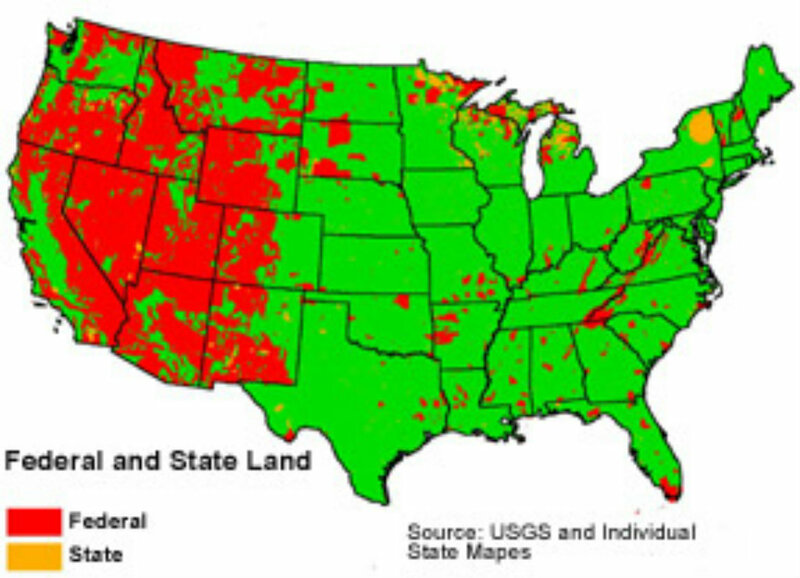 Let’s start with the recent attacks we have seen against private land ownership in the United States more specifically, the way our cities are rezoning the land we own and exercising more and more power over it. Communism has a long history of denying people the right to own private property, in fact, the Soviet Union removed all farmers from their land and forced them into stacked apartment complexes in the name of preserving the environment and collectivism. The United States constitution guarantees the rights of individuals to own property because property ownership is the very vehicle in which private wealth is created. Land, because of its unique nature and the crucial role it plays in human settlements, cannot be treated as an ordinary asset, controlled by individuals and subject to the pressures and inefficiencies of the market. Private land ownership is also a principal instrument of accumulation and concentration of wealth and therefore contributes to social injustice; if unchecked, it may become a major obstacle in the planning and implementation of development schemes. Social justice, urban renewal and development, the provision of decent dwellings and healthy conditions for the people can only be achieved if land is used in the interests of society as a whole. Public control of land use is therefore indispensable to its protection as an asset and the achievement of the long-term objectives of human settlement policies and strategies. To exercise such control effectively, public authorities require detailed knowledge of the current patterns of use and tenure of land; appropriate legislation defining the boundaries of individual rights and public interest; and suitable instruments for assessing the value of land and transferring to the community, inter alia through taxation, the unearned increment resulting from changes in use, or public investment or decision, or due to the general growth of the community. The U.N. believes that land ownership contributes to “social injustice,” in other words it is unfair that some people own vast amounts of land while others own little. In order to rectify this, they are going to control all the land, tax you for owning it and redistribute the resources in order to achieve social equality. While many of these objectives may sound good, there is no way that the government can ensure total equality for everyone, and every time it has been tried, these governments have found it necessary to murder millions in order to achieve it. Which brings me to my next point. While, on one hand, they are claiming to make everything equal for all, on the other, they are doing something quite different. Many people who are following this topic have come to accept that the global elite are seeking to control the world’s populations. This very document, the U.N. Conference on Settlements, addresses this by pointing out the problems of excessive population growth. If today’s food requirements for a population of seven billion people are inadequately met, how will they provide for a population of fourteen billion? Well according to Alex Newman from the New American the U.N. has a plan on how to deal with the exploding population growth in Kenya. They intend to inundate the women of that country with propaganda about reproductive health, abortion and family planning in an attempt to convince them of the need to have fewer children, to help them meet their population objectives for Kenya of course. Doesn’t that sound like something you would hear from some of our own politicians? Could it be possible that they are attempting to use birth control and abortion as a means of population control here in the U.S.? I think we can all speculate on the answer to that question. In my next article I will focus on a subject that strikes to the heart of Americans with a bit more severity, the disarmament of the United States and why it is imperative for the implementation of Agenda 21.